Switchblade knives are always a fantastic addition to any knife enthusiasts’ collection. 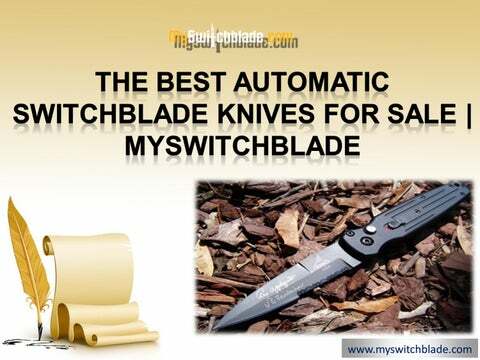 At MySwitchblade.com we carry a wide variety of switchblades from many places around the globe including: The U.S, Russia, Czechoslovakia, along with Asian Imports. We also offer custom high-end “knife art” switchblades from makers like Reese Weiland, Jeff Harkins, Bill Saindon, Paul (Burn) Panak and many more. Apart from imports and custom build switchblades, if you are looking for something more, please ask us and we may have them in stock for you. Ranging from picklocks, OTFs, Italian Stiletto to custom switchblade knives and custom fixed blades and folders, we possess numerous popular versions, including those hard to find knives which you have been searching for long.